Someone is a spy and you need to take them out. There’s only thirty seconds left for them to bug the ambassador and complete their mission. You see movement out of the corner of your eye? Is that balding man reaching towards the ambassador’s pocket? You take the shot and the party goers scream. Over Skype, your friend laughs at you and, realizing you’ve screwed up, all you can do is laugh as well. That’s Spy Party. In Spy Party, one player takes the role of the spy and must complete a series of objectives without being detected by a player taking the role of the sniper. The sniper only has one shot to fire. If they kill the spy, they win. What follows is an intricate game of misdirection that’s one of the most tense multiplayer experience you’ll ever have. Manipulating and being manipulated by your friends. One rainy Sunday of espionage and sniping . 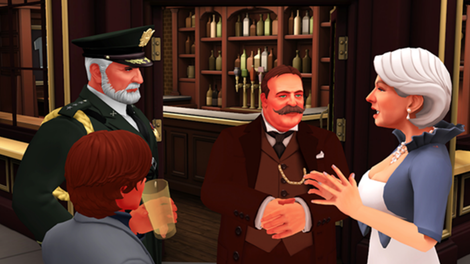 Spy Party was first shown at the 2009 Game Developers Conference and has been in ongoing development ever since. It’s hard to think of a major conference or event where Spy Party isn’t being played either on the show floor or by a group of game devs in a back room. YouTubers have been tricking each other for years, sometimes going so far as to create a real-life airsoft version of the game. For the better part of a decade, Spy Party has always been around the periphery of video games. The early access version isn’t finished but marks the first time the game has been commercially available. It’s impossible to talk about Spy Party without talking about its developer Chris Hecker. Before you dive into the game, Hecker leaves messages on the screen asking if you’ve played the tutorial, which is also narrated by him. This tutorial, while very useful, is a bit like the author of a book telling you repeatedly how his book should be read before you open it. This is a complex game full of very specific procedures, ones that Hecker wants you to follow with precision. Because of this, nothing about its gameplay feels natural, and this Hecker-narrated tutorial is his way of acclimating you into his world. Spy Party feels so much like diving into Hecker’s brain that it can feel as overwhelming as it is endearing. It sometimes feels like you’re playing the tutorial on a busy convention floor with Hecker right over your shoulder. Once the tutorial ends and you are finally allowed to play on your own terms, things get a lot better. 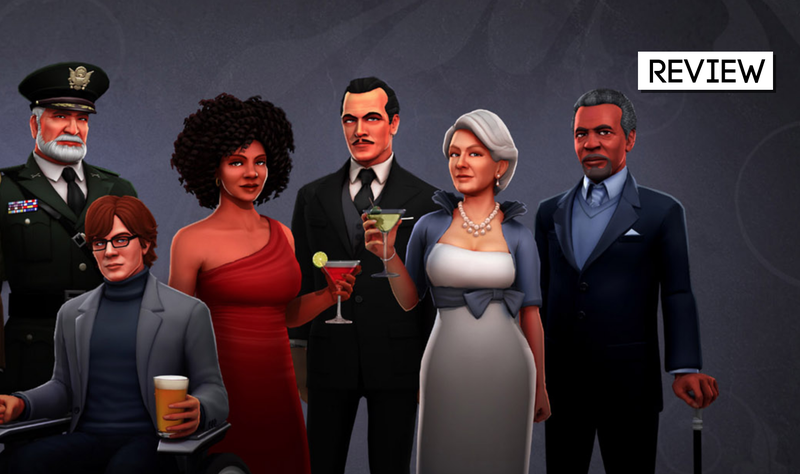 In order for the spy to win a match, they must complete multiple tasks: seducing a party goer, bugging the ambassador, contacting a double agent, and swapping out a highly visibly statue from its pedestal. The spy can see the different paths that NPCs will follow and must try to blend in. The sniper needs to memorize and observe the party, a task made easier by the ability to highlight crucial characters. This is mostly used to mark suspects or note characters who can’t possibly be the spy. Was the General at the other end of the room when the double agent was contacted? Darken their character model and focus on the remaining party-goers. Each match occurs under four minute time limit. As time runs out, the stakes grow higher and the spy must either rush to complete their tasks or extend the timer by looking at their watch while at a window. That’s the thing about Spy Party: actions are always risky. Checking your watch is highly conspicuous, walking across the room towards the ambassador catches attention and, if you are the sniper, firing your rifle ends the match. One misremembered fact or overlooked detail could result in your defeat. Playing as a spy is arguably easier than playing as a sniper, but over the course of a few games how you enact being a spy will change. The goal is to complete four missions without being spotted by your sniper, blending into the NPCs around you. At first, as you and your fellow player acclimate to the game, this is as easy as waiting until the sniper’s laser guided sight isn’t looking at you. There’s a nice James Bond-y rhythm to these actions. You try to orient bodies around yourself as you bug the ambassador or flirt with your seduction target, and pulling them all off without the sniper noticing feels pretty badass. Playing as the sniper can be nerve wracking, as the perspective forces you out of the action, peering at the party silently through the window. There’s a lot to watch out for, and it’s easy to miss things as you pivot the camera around. Some signs are easy to spot—when the spy contacts a double agent, you hear Chris Hecker’s voice saying “banana bread,” and certain actions, like bugging the ambassador, have unique animations. After playing for a while, the spy will learn a lot about what you’re looking for and get better at concealing it. When she was playing as a sniper, Gita would frequently guess which character Heather was playing correctly, and then Heather would do something so NPC-esque that she’d dismiss it. Once, Gita tagged Heather as the spy early on when she was lingering near the statues, but later in the game, that same character wasn’t anywhere near the other characters when the double agent was contacted, so Gita dismissed it. When she ended up shooting the wrong person, she swore out loud. When you play Spy Party, you’re actually playing several different games at the same time. The first is the main game of spy versus sniper, where you either accomplish your objectives or not. But there’s multiple games beyond that, all of them equally exciting and strange. There’s the game of pretending to be an NPC. You learn to turn stiffly and always land on your assigned mark. You choose interactions randomly and shut off a part of you mind, running through the game on autopilot and wondering how artificial and stupid you can make yourself seem. Where many games strive to offer experiences with similarities to real life, Spy Party is painfully aware of its artificiality and invites the player to join in that artifice. But there’s also the game happening between players, particularly friends, where the slightest change of body language or quietest noise can end in disaster. One time as we played, Heather as the spy and Gita as the sniper, Heather swapped out a statue and gave out a slightly humming sound for a moment. That one sound was enough to cause Gita to swing her sniper rifle around and fire the game winning shot. If you know someone’s verbal tics or way of thinking, Spy Party turns into one of the greatest ongoing games of misdirection imaginable. Longer sessions become a comedy of errors where you know that they know that you know what they’re going to do next. Perhaps you know that someone always attempts to bug the ambassador first and you catch them for a few rounds. Will they finally break the pattern or will they stick to routine in a deliberate attempt to trick you? After all, there’s no way they’d do that a third time, right? How does my partner assume NPCs move? Are they the sort of player that is going to memorize all the statues in the room at the start of the game? This is the real game being played and sometimes it doesn’t even matter if you win a round so long as you manage to screw with your friend. As time goes on Spy Party becomes less of a game and more of a tool for understanding social behavior. Spy Party’s magic comes from the tension of making a choice. Planting a bug or checking your watch takes multiple seconds to complete but you’re never locked into an action. There’s always a chance to reconsider or abort whatever you’re doing, which opens up the possibility for misdirection. Eventually, you have to commit to an action and while that decision can be made with confidence or uncertainty there’s always a sense of vulnerability. If you’re a sniper, you can delay all you want but eventually need to take the damn shot. You will hold your breath before pulling the trigger every single time. Spy Party took years to make and refine, and it shows in its meticulous mechanics. There’s always a sense that one step out of place can completely break everything. And yet, the game leaves ample room for the players, too. At its best, Spy Party is a vehicle for two players to try to find each others’ blind spots. It can feel like gambling: you’re trying to find the other person’s nervous tic, their tell. Spy Party captures what espionage must feel like—the sly satisfaction of hiding in plain sight, the tense uncertainty of whether or not you’ll blow your cover. It has just as much in common with games like Hide and Seek than real world cloak and dagger affairs, though. When Spy Party stops holding your hand and lets you run free, it becomes a unique and satisfying multiplayer experience.